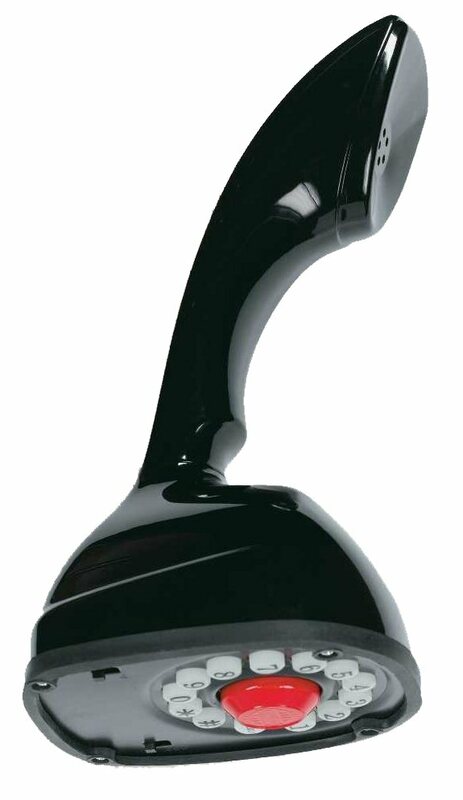 Authentic Re-production of the original Ericofon telephone in black. This working telephone has today's technology, a functioning push-button dial, with last number re-dial. The ScandiPhone is based on the unique upright phone that was introduced in Europe in the mid 1950's. Smaller and lighter than anything available at the time, the unusual one piece design was a fine example of form and function in harmony. The push button version was introduced in 1967. In 1973 the Phone was selected to be part of the New York Museum of Modern Art's Collection, in recognition of its significance as a piece of excellemt design in the 20th Century.